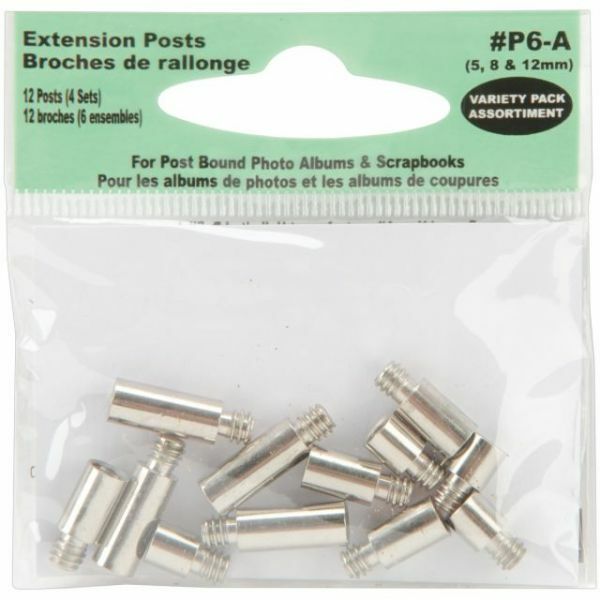 Variety Pack Extension Posts 5mm, 8mm & 12mm - PIONEER-Extension Posts. 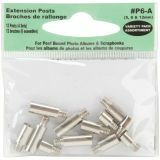 This package contains an assortment of twelve extension posts for post-bound photo albums and scrapbooks. There are four posts in each of three lengths: 5mm, 8mm, and 12mm. Style number P6-A. Imported.